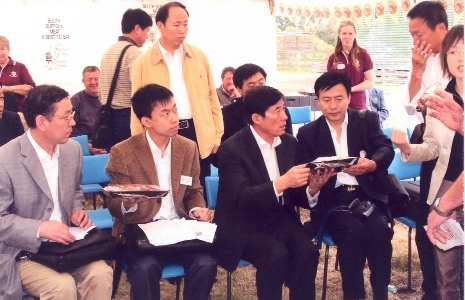 Willow Drive South Suffolk Sheep Stud hosted a day of activities for a visiting Chinese farming delegation, officials from the provinces regional governments, livestock and agricultural leaders led by the deputy Mayer Jia Lianting from Jincheng in the province of Shan Xi, being on a 3 day visit to gain insight into developing a livestock trading partnership with Australia. 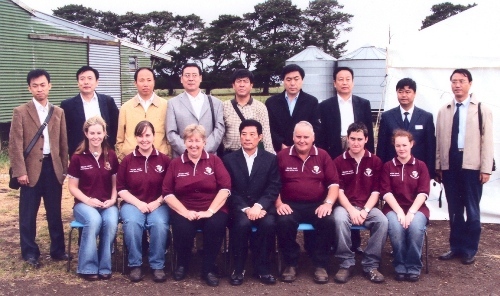 The visit was instigated by the Australian International Trade head office in Beijing, with the special request to visit Willow Drive South Suffolk sheep stud, to view the South Suffolk breed of sheep, with the prospect of the sheep being suitable for their province in China. and tourism manager Terry Binder and local farmers. 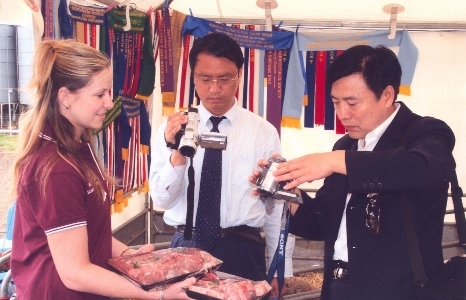 The Chinese visitors viewed lambs sired by South Suffolk rams they saw video of lamb carcasses entered in the 2005 Colac carcass competition, which were placed 2nd in the 18 -22 kg class, and saw the Willow Drive South Suffolk Stud sheep, before indulging in a South Suffolk BBQ lamb lunch. After lunch visitors toured the property, to get a first hand look at farming practices in Australia. 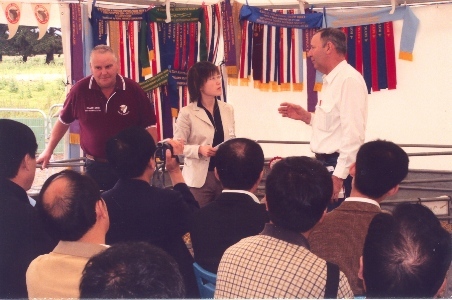 The following day the delegation, accompanied by Barry Shalders were shown around M.C. Herds meat works in Geelong by the manager Barry Smith and viewed their sheep meat processing facilities, before returning to Melbourne to meet with Government officials. 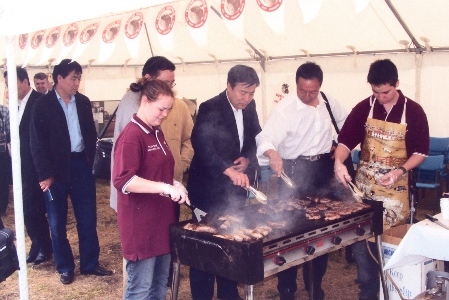 and host such a high level Government livestock delegation.